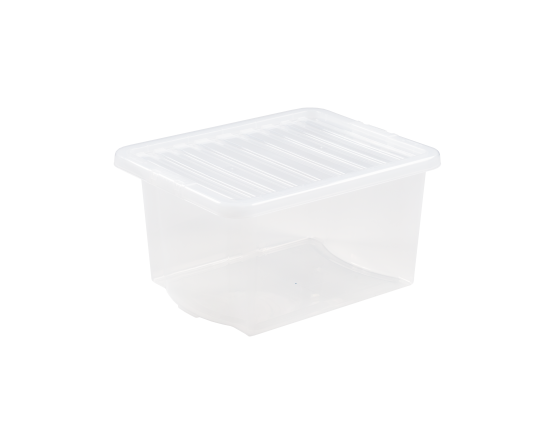 High quality 35 litre storage box with clip on lid. Versatile storage suitable for all around the home and workplace. Clear to easily view contents. Curved sides design allows the boxes to stack & store without lids. Boxes are stackable and will nest.